Home > gallery > confused? impatient? 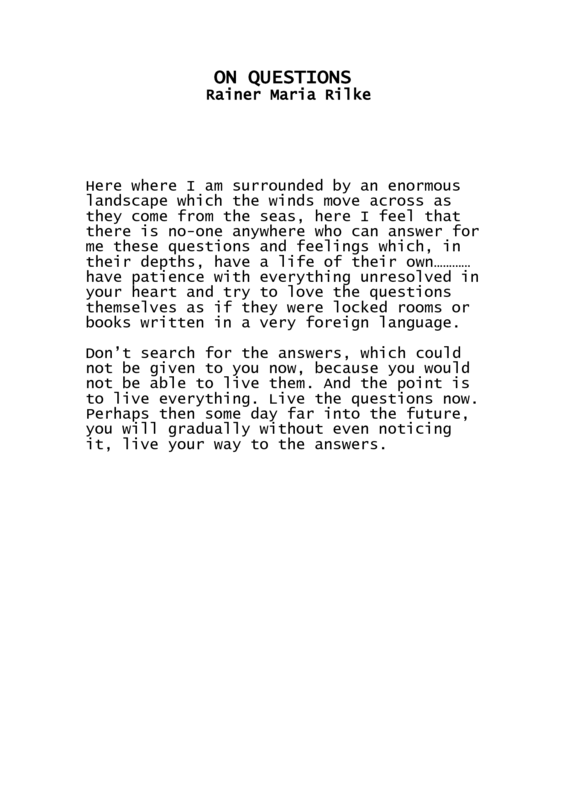 here’s a dose of rilke . . .
confused? impatient? here’s a dose of rilke . . .
Wow that was great! Perfect for me today! Would you mind if I copied it, or posted it on my profile page? Glad this gave you a boost, Joan! Please feel free to share anything I post. Have a great day . . . Nothing like some Rilke to make the journey seem less challenging, right?